Prepare to be wowed by the newest looks at VOW OF THIEVES! Mary E. Pearson dove back into the world of The Remnant Chronicles last year with the release of Dance Of Thieves, the first in a spinoff series. Jase and Kazi have gone through a lot so far, but there’s still more to come. 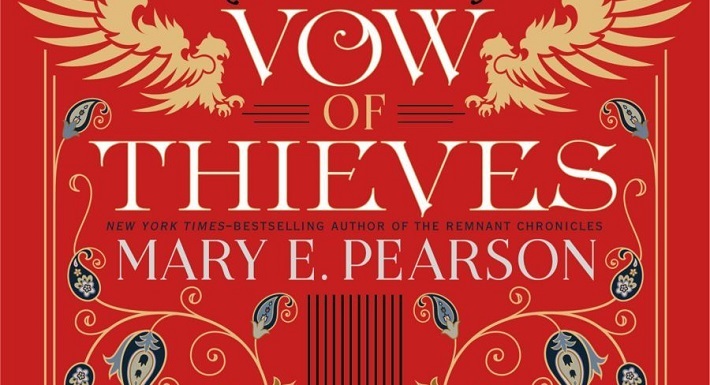 Their plans for peace and a happy life together will be disrupted in a major way in the sequel Vow of Thieves, the cover and first chapter of which just dropped on Hypable. 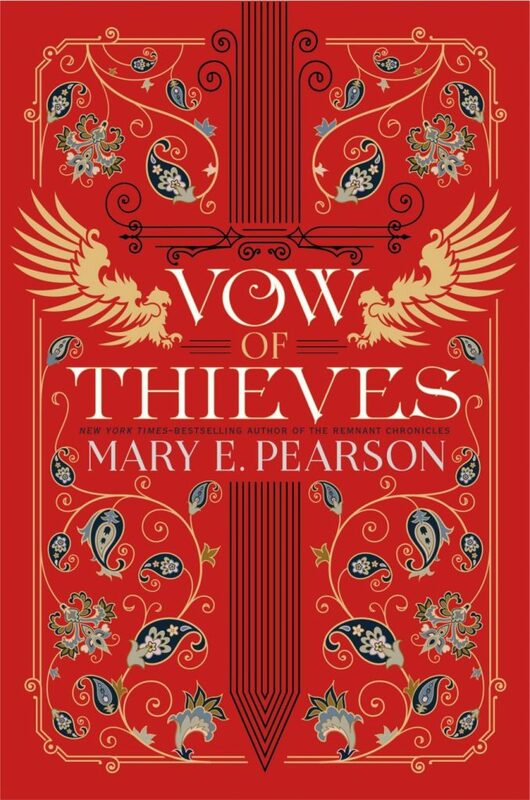 Check out the Vow of Thieves cover design, which is very similar to book one other than the fact that the color moves from a mysterious navy blue to blood red. A sign of things to come, perhaps? Hypable also shared the first chapter from the novel, told from Kazi’s point-of-view. It’s only a page and a half long but hey, it’s better than nothing! 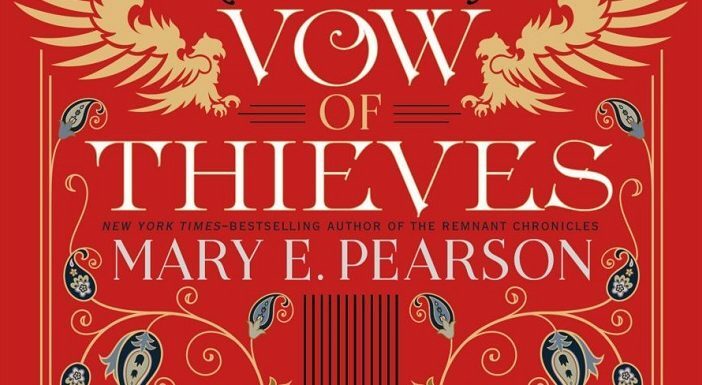 Vow of Thieves (Dance of Thieves #2) hits shelves on August 6, 2019. You can preorder it now via Amazon or support your local bookstore via Indiebound!